In building Camp Denali, the land told us what we should be. On a rainy day in the summer of 1951, three friends arrived in the mining district of Kantishna, just north of Wonder Lake and the northern boundary of Mt. McKinley National Park. Celia Hunter, Ginny Wood and Morton (Woody) Wood were seeking some land to homestead within view of the Great One. Their dream was to build a simple, rustic lodge and cabins where park visitors could come and "savor the vigor and freshness of this young country and absorb its spacious tranquility." Hiking up an untracked ridge on a tip from park superintendent, Grant Pearson, they discovered an inviting spot with a small pond and rocky ridge. Later, when their park ranger friend, Les Viereck, returned on a clear day to report back on the mountain views, he replied with one word etched on a postcard, "Wow!" That fall, Celia homesteaded 67 acres of that ridge, centered on Nugget Pond. The founders built Camp Denali with locally-harvested spruce logs and reclaimed materials from the National Park Service, often with the serendipitous help of friends and plucky visitors who just "dropped in to look, then stayed to help us haul logs, hack out a road, and build." They ran Camp Denali for 25 years, forging livelihoods out of ingenuity, hospitality, and love of the land. 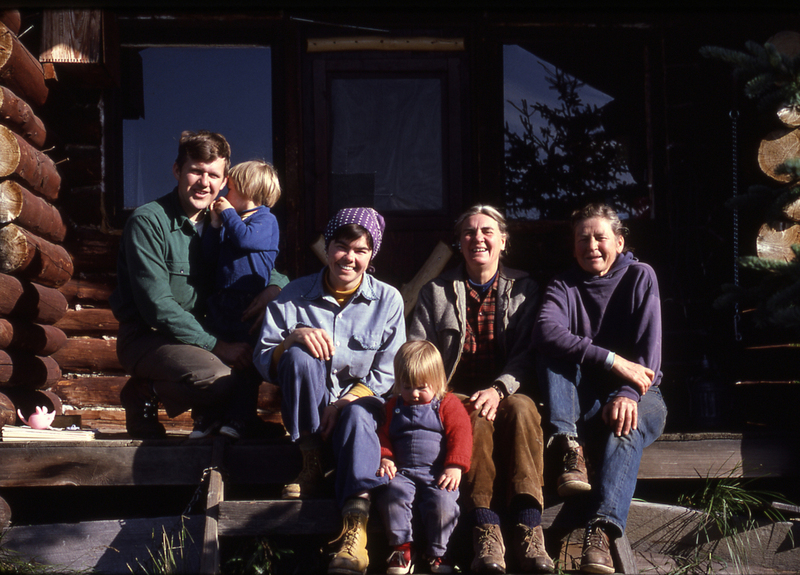 In the fall of 1975, Ginny and Celia sold Camp Denali to Wally and Jerryne Cole. Wally had come to the Park in 1959 from his home on the Maine coast to work as a bellhop at the McKinley Park Hotel. He returned a few years later to be its manager and eventually hired Jerryne Berglund, fresh from the University of Washington's nursing school in the spring of 1967, as a tour guide and host aboard the two shuttle buses that offered trips into the park. Married that winter, they eventually made the Park their permanent home and with their two kids, Land and Jenna, operated Camp Denali from 1976 until 2008. In 1986, North Face Lodge, a lodge that was built in 1973 on the homestead of superintendent Grant Pearson, came up for sale. In order to forestall unchecked development on this prime 5-acre parcel in view of Denali, Wally and Jerryne enlisted the generosity of numerous former Camp Denali guests for the acquisition of this unique location. Today, North Face Lodge operates at the same capacity as when the Coles acquired it. A few years after this acquisition, the Coles incorporated Camp Denali and North Face Lodge under the name Denali National Park Wilderness Centers, Limited. Wally and Jerryne began turning over the business to their daughter, Jenna, and son-in-law, Simon Hamm in 2009. Jenna spent most summers of her life at Camp Denali. From peeling carrots at a young age, to guiding hikes, she has done most every job and has an intimate knowledge of the area. Simon made his first trip to Alaska from his home in Rhode Island in 1997 with the goal of climbing Denali. Had he only ventured into the tundra lowlands beyond Wonder Lake after his and his climbing partner's successful ascent, he might have been one of those wayfaring backpackers who ended up digging outhouse holes and splitting firewood for the summer at Camp Denali, but that was to wait a few years. Simon and Jenna met in 1998, working as biological field research technicians in the Sierra Nevada Mountains of eastern California. They began working for Camp Denali and North Face Lodge year-round two years later and have been its managers since 2005. 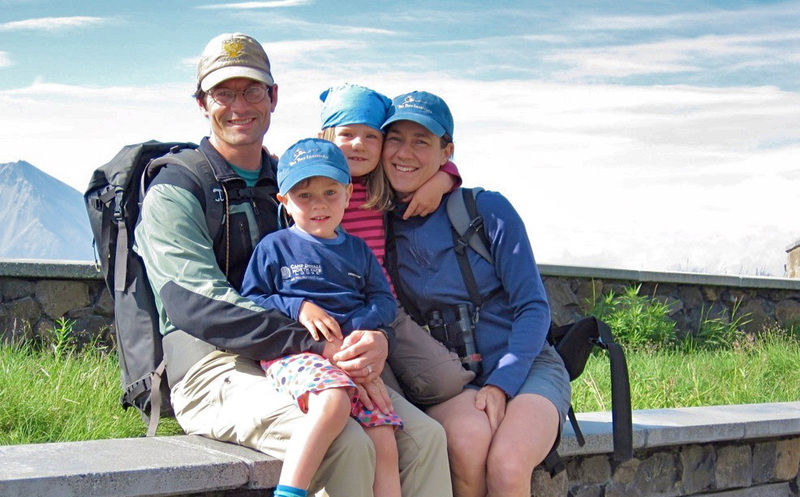 With their young children, Danika and Silas, they are honored to be the third generation of privileged inhabitants and careful stewards of this special, peopled corner of Denali's wilderness. Content within its shadow ‘til he dies. His vision where the summit cuts the skies. And glaciers course like fire in his veins.